Just like the good old days; Lowell locked in and went deep. 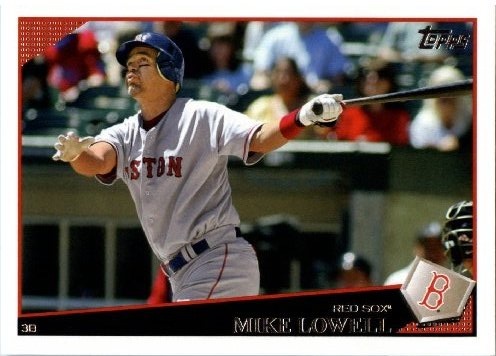 It doesn’t take an expert analysis to understand what a miserable season Mike Lowell has had. The Red Sox made no bones about the fact that they didn’t want Lowell to be their everyday third basemen, and signed Adrian Beltre. An offseason trade to Texas, where the Red Sox would take on $9 million of his $12 million salary, fell through when it was discovered Lowell needed thumb surgery. Ever since, Lowell has been left in no man’s land. With Kevin Youkilis at first base, Beltre at third and David Ortiz in the designated hitter’s spot, Lowell has nowhere to play. Now past the non-waiver trade deadline, the Sox haven’t found a trade partner. And they won’t grant him his outright release, either. So, Lowell was left to stew on the bench, and was later put on the disabled list, obstensibly to receive more treatment on his well-worn hip. Entering last night’s game against Cleveland, Lowell had appeared in only 31 games this season, with just 18 coming in starts. Two home runs, 12 RBI, and a .213 batting average are not great souvenirs for a former World Series MVP, either. That’s what made the next moment so special. With Youkilis landing on the disabled list before the game, Lowell, who had finished a successful rehab assignment in Pawtucket days ago, was finally called back up to the big club, and penciled in at first base. Lowell came up in the second inning, and received a standing ovation as he dug into the box to face David Huff. 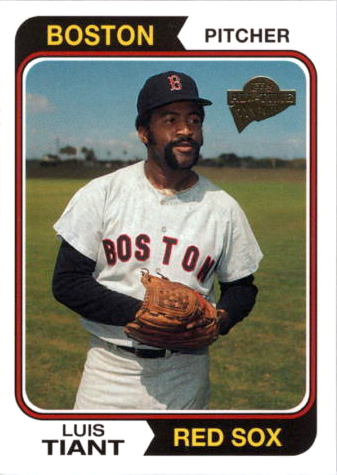 Huff went into the windup, threw, and Lowell, naturally, turned on the first pitch and sent it into the seats above the Green Monster. Pandemonium in Fenway Park. Cheering. Screaming. Probably crying. And there’s Lowell, smiling as he rounds the bases, smiling as he hugs David Ortiz, smiling as he bumps fists with his teammates in the dugout, and later, smiling after he robbed Trevor Crowe of a base hit when he snared his liner and dove headfirst into the bag for the out. It’s the kind of moment that could live on for years, like Ellis Burks‘ late September single in 2004 or Bill Buckner‘s inside-the-park home run in 1990. It’s the kind of moment that makes it so easy to remember what makes baseball is so great. Anyone can step up and be the hero. Anyone can rewrite their own season. Until now, Lowell’s 2010 saga has been miserable. He’s lamented openly that he doesn’t have a place on the team anymore, that he feels guilty taking up a roster spot, and that he’s spending what’s likely his last season in baseball wasting away on the bench. It’s easy to feel for him. Anyone else in this spot could easily be cast in the “clubhouse cancer” role, but Lowell is obviously well liked by his teammates and has done so much for the Red Sox since arriving before the 2006 season. Though he’s towed the line between moaning and being a good teammate, it’s been awkward, at best, for everyone involved. No one yet knows how long Youkilis will be out. It’s not clear whether Lowell can physically handle playing first base every day. Though he’s openly said he didn’t want to root for an injury in order to grab playing time, he may have stumbled into a role on this team as they run for the playoffs. Lowell might be the man for the rest of the season; he might not. But at least he has his moment.